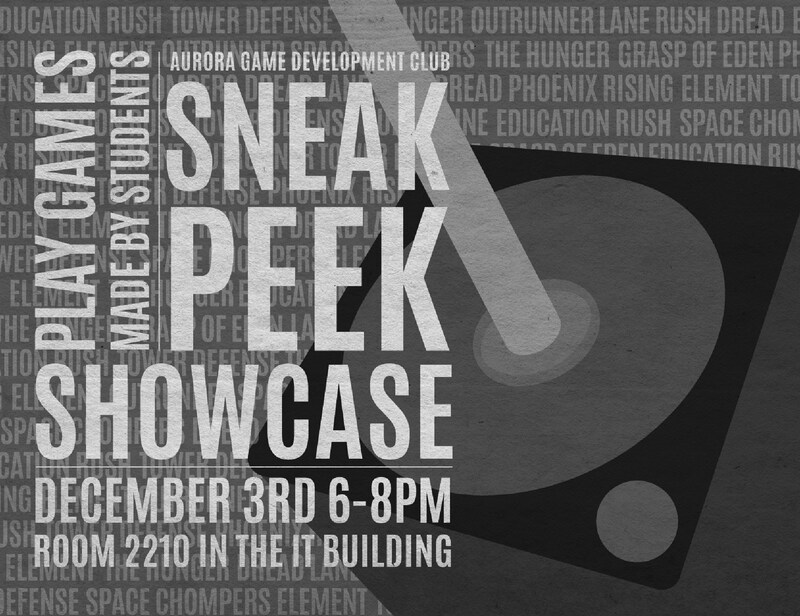 Aurora presents its 3rd Annual Student Showcase tonight! The summer is fast approaching and what better way to kick it off then by playing some video games created by members of the Aurora Game Development Club! Tonight, the club will open its 3rd Annual Student Showcase to the Georgia Southern campus, inviting any and everyone to stop by and see what's been in development this year. We'll be setup on the 3rd floor of the IT Building, rooms 3212 and 3214, with tons of computers to play on, from 6-9pm. With over 20 games to play, you'll have your hands full! And if you arrive early enough, there will be pizza for you!